Are you looking for the perfect birthday card for the motorcycle lover in your life? This hand stamped motorcycle birthday card may be just the ticket! Show them how to get your kicks on route 66! 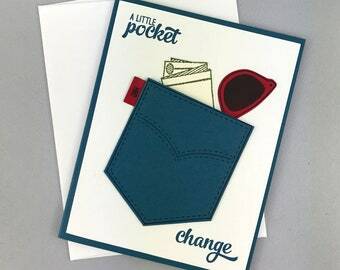 Give them a card that showcases their love of motorcycle riding. 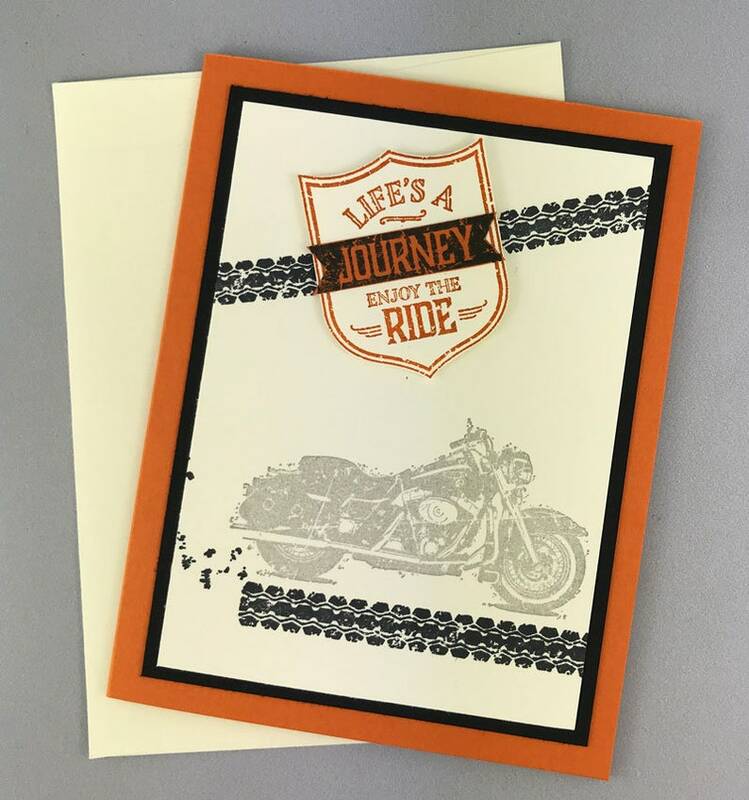 This black and orange card features a motorcycle, tread and a sign that says "Life is a Journey, enjoy the ride". The inside of the card features a small route 66 sign in the upper left and lower right corner, stamped in orange ink. 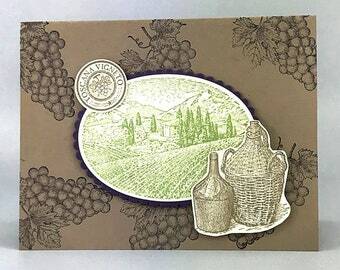 The purchase of this listing includes one hand stamped motorcycle card as pictured above along with a matching white envelope. 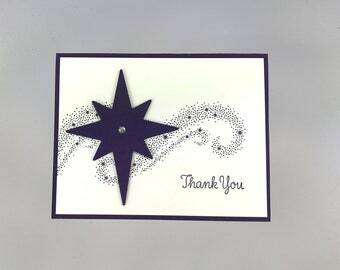 This card measures approximately 5.5 inches by 4.25 inches. Each of these motorcycle birthday cards will come individually wrapped in a clear cello envelope and sealed in a bubble mailer to ensure protection during shipping.